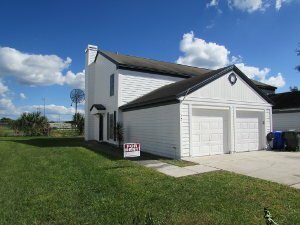 We buy houses in Kissimmee and around Fl. Let us make a fair all-cash offer on your house. Need To Sell Your Kissimmee House Fast? We Buy Houses Anywhere In Kissimmee And Around Central Florida, And At Any Price. Check Out How Our Process Works. We’re Ready To Give You A Fair Offer For Your House. Stop the frustration of your unwanted property. Let us buy your house in Kissimmee now, regardless of condition. Many homeowners have challenges which we have both the experience and the resources to help with. Behind on your mortgage and want to avoid foreclosure? Inheriting a property that you do not want? Whatever your situation, we want to help. It does not even matter whether there are liens on the property, the house has fire damage or other repairs, we buy houses in any condition. Basically, if you have a property in Kissimmee and need to sell it… we’d like to make you a fair cash offer and close on it when you’re ready to sell. 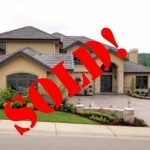 The traditional way of selling a home is to hire a real estate agent to market the home and take care of the paperwork. That works great if your house is in perfect condition, in a great area, and you have many months to wait for a buyer. But what if you are trying to avoid foreclosure, the home needs a lot of repairs which you can’t afford right now, or you have tenants who are just driving you crazy? We help property owners just like you, in all kinds of situations. From divorce, foreclosure, death of a family member, burdensome rental property, and all kinds of other situations. We buy houses in Kissimmee and surrounding areas and pay a fair cash price, fast. Give us a call today, and sell your house fast for cash.